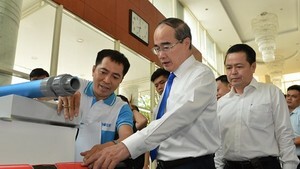 A shortage of treatment facilities and modern technology has prevented Ho Chi Minh City from controlling hazardous waste, so the city has decided to spend VND60 billion (US$3 million) to tackle the problem, said city vice chairman Nguyen Trung Tin at a July 19 meeting. Companies and industrial zones dump around 300 tons of hazardous waste daily, according to a representative from the city Department of Natural Resources and Environment. Meanwhile, an average of around 30-40 tons of the hazardous waste is collected and treated everyday, said the representative. Since the beginning of the year, the Ministry of Natural Resources and Environment halted granting licenses to businesses that collect and treat hazardous waste, because the problem has become too severe for existing companies to deal with, as they lack the modern technology necessary. To clear production space, companies have to discharge their harmful waste stealthily or sign contracts with illegal enterprises that discharge harmful waste into the environment. 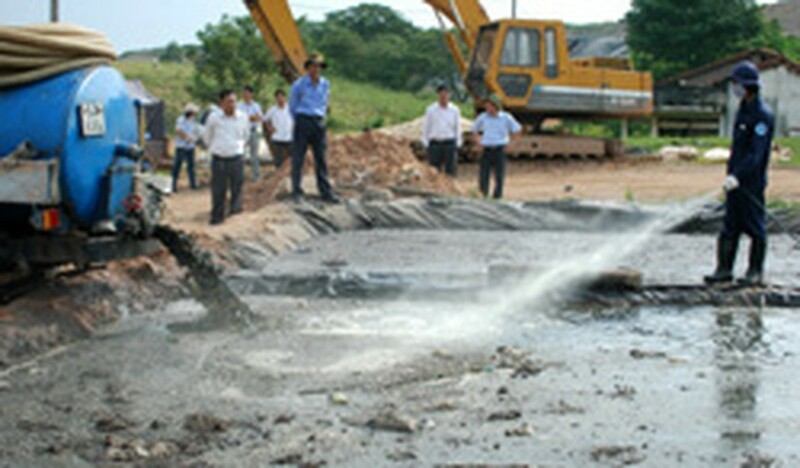 Faced with the situation, vice chairman Tin urged the city’s urban environmental companies to build more waste storage facilities as soon as possible and invest to expand the incineration capacity of Dong Thanh dumping ground from 30 tons to 80 tons of waste per day. It is necessary to ensure hazardous waste is completely incinerated totally or is buried after incinerating, said Mr. Tin. The city will support to waste treatment companies to build new facilities and buy modern technology, according to him. The campaign “Vietnamese give priority to consumption of Vietnamese Goods” is an important “manoeuvres” to bring Vietnamese goods abroad, said secretary of HCMC Party Committee Nguyen Thien Nhan at a conference to review ten years of the campaign implementation yesterday.